Food safety continues to be the highest priority for Ocean Mist Farms. The health and safety of our customers always comes first. Our approach to food safety is holistic, taking full advantage of the vertical integration within our company to implement best practices at every stage of the production cycle, from planting all the way through harvesting, processing, cooling and distribution. Through our rigorous food-safety principles and procedures, Ocean Mist Farms is able to provide our customers and consumers with not only the best quality products, but also products that are wholesome, nutritious, and safe. We are committed to continuous improvement and will maintain our leadership role in research toward advancement in food safety and quality. Field selection is the first step in the process of growing a crop. Adjacent land use, land and crop history, topography, availability of clean water and soil type all play an important role in farming. A detailed risk assessment is performed before any Ocean Mist Farms crops are planted. During cultivation, our employees follow good hygiene practices and make sure all equipment used in the process is clean and well maintained. 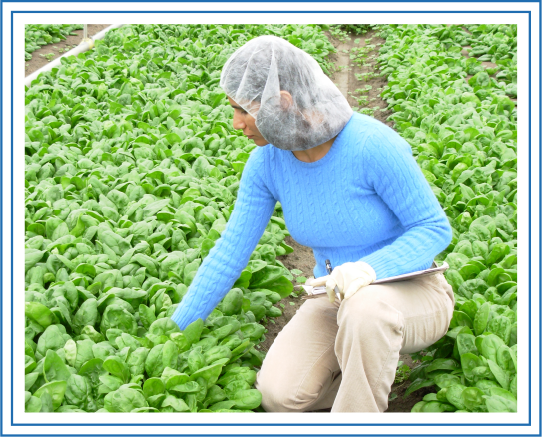 Employees are trained in food safety and are required to follow Good Agricultural Practices. We perform continuous internal audits and seasonal, third-party audits to ensure the goals of the food safety program are met. All pesticide applications are made in accordance with local, state, and federal laws and regulations. Our field professionals are all licensed Pest Control Advisors (PCAs) by the California Department of Pesticide Regulation. Our PCAs use a multitude of techniques to control the variety of pests that can damage our crops. Integrated Pest Management (IPM) is a pest-control strategy that uses biological controls (like ladybugs), monitoring (using traps and field counts), habitat manipulation (flower plantings that attract beneficial insects) and weed clearing. We use pesticides only after monitoring suggests they are needed to control target organisms. Pest control materials are selected and applied in a manner that minimizes risk to human health, beneficial insects, other wildlife in the area and the environment. Our harvest operations are conducted under Good Agricultural Practices. Training is provided to all personnel in worker health and hygiene, proper hand washing, prevention of cross-contamination and food defense. Current Good Manufacturing Practices (cGMP) and Hazard Analysis Critical Control Points (HACCP) are combined with state-of-the-art technology to process our products. Our employees are trained in best practices and apply their skills and knowledge to ensure product quality and safety. Keeping fresh vegetables cold is key to quality as well as safety. We call this process the "cold chain" and monitor every link of that chain, from field to truck. 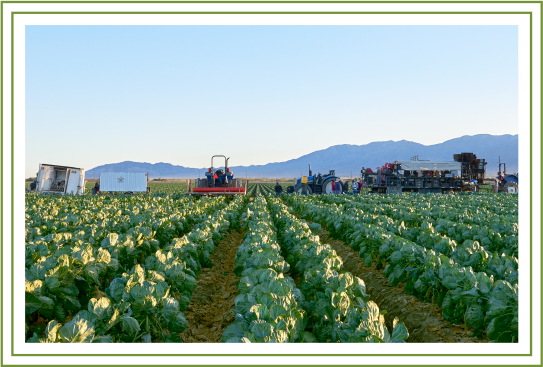 Our policy is to move produce from field to cooler with efficiency after it is harvested. After the vegetables are cooled, they are moved into our state-of-the-art cold rooms, which are held at an average of 34°F to keep the products fresh. The cold rooms are maintained in a clean and ready state. Each room has automated alarm systems to alert us should the acceptable temperature range be exceeded. With the exception of some air deliveries, our products move to distribution centers and supermarkets in refrigerated trucks. We inspect the trucks prior to loading for cleanliness, structural integrity, and temperature. The product is not loaded unless all requirements are met.